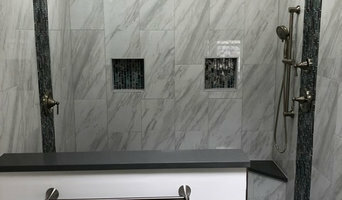 West Chester Design / Build firm specializing in full home renovations, kitchen and bath remodels, additions, finished basements and many more. Our teams’ focus is driven by three company values, Qluality.Integrity.Craftsmanship. 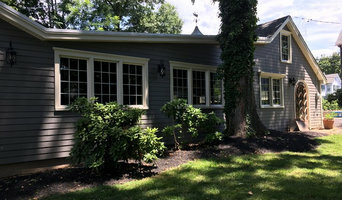 Glidden Construction turns houses into homes. Whether you're remodeling, flipping a property, or making small improvements and repairs, Glidden Construction will help you create the home of your dreams-without the hassle. Repairs, renovations, home improvements-whatever your needs, Glidden Construction is here to help. We don't just come in, do the job, and leave: we answer your questions, help you visualize your dream home, and support you in every decision along the way. We go out of our way to make your remodeling experience easy. We show up when we say we will. We employ high-quality craftsmanship to create beautiful home innovations that last. And we clean up after ourselves, too. If you've been frustrated by contractors before, call Glidden Construction. CHEROKEE has established a reputation for the highest quality workmanship and exceptional service, specializing in high-end residential and commercial construction with a full range of construction management services. Most of Cherokee’s projects come from architect, designer and client referrals. We are proud of our list of repeat customers who have come to expect the highest level of service and quality. Our projects include large scale residential renovations, new custom homes, office buildings, tenant fit-outs, shopping centers and retail stores. Conveniently located in Wyndmoor, just outside Philadelphia, Cherokee can easily service projects in Philadelphia, the Main Line, and Eastern Montgomery, Bucks, Delaware, and Chester Counties. We ARE: On Time On Schedule On Budget ...and Easy to Reach! K-Ridge Development Group stands on 25 years of “Jersey Strong” building experience. We are Licensed, fully insured, residents of New Jersey! Our company is rooted in our people and our commitment to quality, integrity and responsiveness to our clients’ needs. 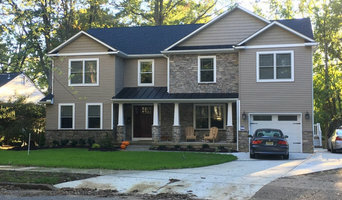 Serving NJ, PA, and DE with over 25 years of experience, the 1 Creation Construction name has been synonymous with quality professional construction services. 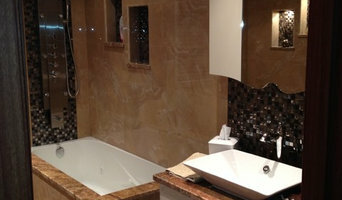 We strive to be the only contractor you will require for any new project at your home or business. With over 80% of our work coming from repeat clients, we place great value on the relationships our people develop with our clients. We recognize that communication is the cornerstone of these relationships; so, we listen and become partners in our clients’ building successes. The 1 Creation Construction family is structured to benefit our clients with the stability of a strong bonding capacity and financial security and localized regional expertise. We understand your house is also your families home and is the place memories happen, let us be the ones creating where those dreams and memories reside.